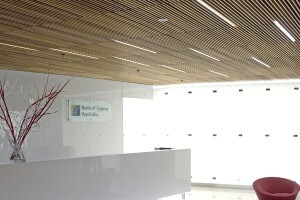 Screenwood Systems are fire rated, VOC tested and are acoustically rated. 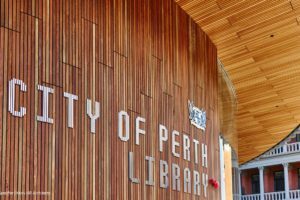 Screenwood is PEFC certified. 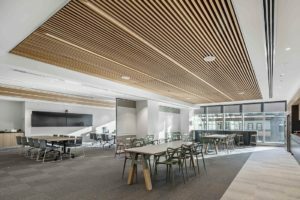 Screenwood designers and manufacture modular linear timber systems combining the beauty of natural timber with the latest acoustic technology to create a unique finished solution for any project. 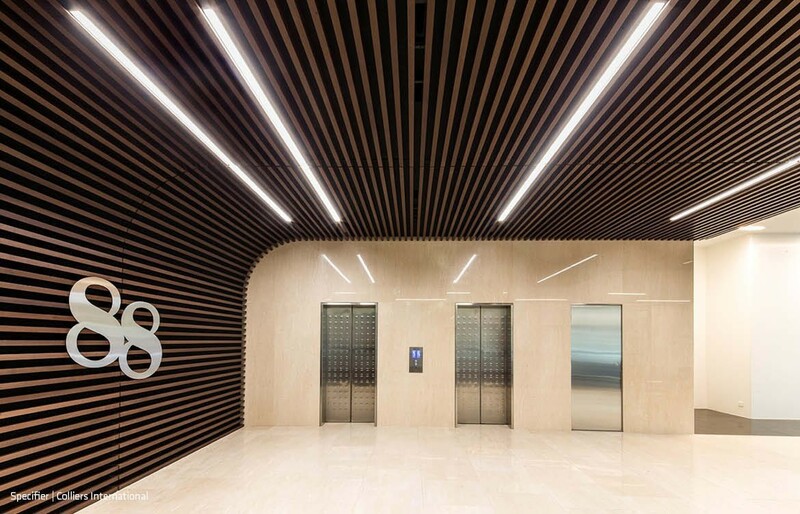 Spread over four levels, the Melbourne Administrative Appeals Tribunal’s new office finishes needed something special – contributing to flow as well as acoustic design. 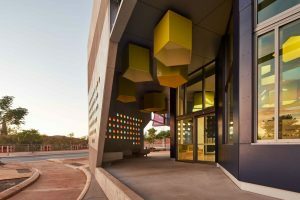 Luckily, Screenwood had the answer. 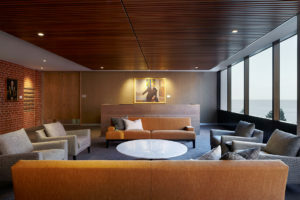 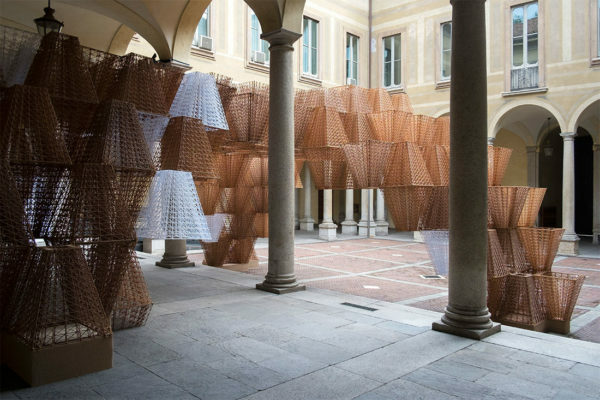 How do you design for acoustic excellence? 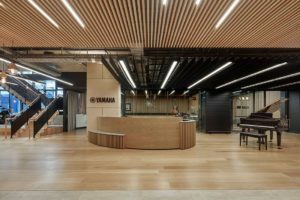 The new Yamaha Showroom in South Melbourne needed surfaces that were more than just good-looking – being a musical space, peak acoustic resonance was also required, which is why STUDIOMINT turned to Screenwood. 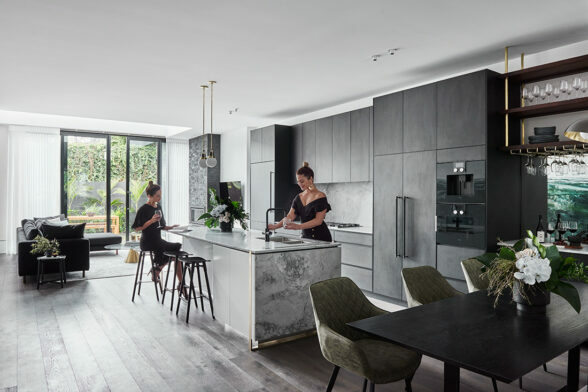 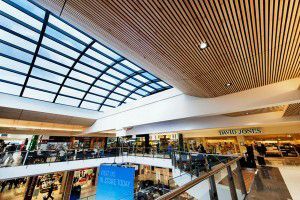 Screenwood’s natural timber solutions have helped bring warmth and vitality to Westfield Southlands, improving the space’s acoustic quality via a ceiling lining. 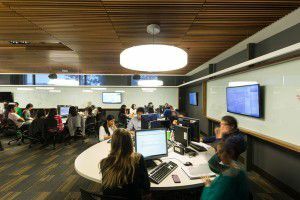 Screenwood is a regular supplier to Australian schools and universities, where their range of ceiling panels have been chosen for use in lecture theatres and student breakout areas. 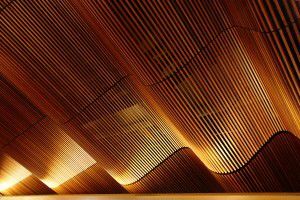 With a design clearly inspired by traditional ramen noodles, Koichi Takada Architects placed a Screenwood installation at the centre of their design, to create the rippling ceiling in Sydney’s Ippudo restaurant. 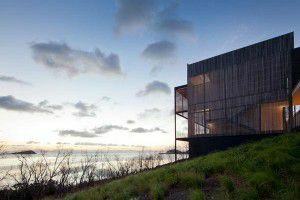 Harmoniously incorporated into the natural landscape of the coast of Hayman Island, the luxurious private residence was designed by Kerry Hill Architects. 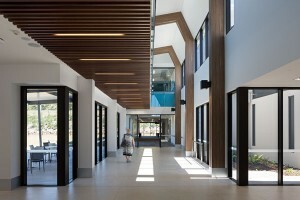 The introduction of timber to any space has an inherent warming effect, as we see in St Stephen’s Hospital in Queensland. 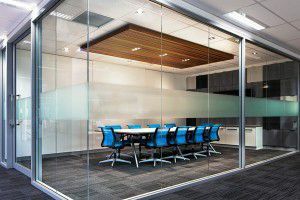 Hughes Bruce Australia recently specified an assortment of Screenwood linear timber panels for various spaces at their project for DHL offices in Matraville.